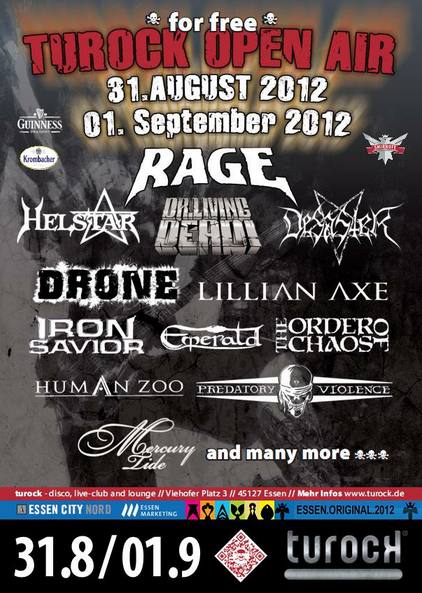 TOUROCK Open Air 2012 is held on August 31 and September 1 in Germany. HUMAN ZOO, Mercury Tide and Seven Thorns, we have featured here, will show up to perform there. For more info on TUROCK.